About 71.6 million people tuned in for the third and final presidential debate of the year. 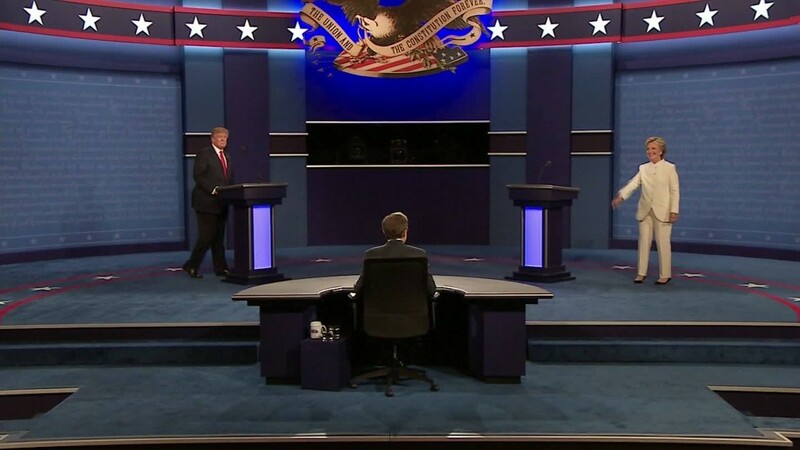 The total audience was smaller than the first Trump-Clinton face-off on September 26, but bigger than the rematch on October 9. Reflecting the intense interest in this election, Wednesday's debate was significantly higher-rated than the final debates of the 2008 and 2012 cycles. President Obama and Mitt Romney's final debate in 2012 averaged 59 million viewers. Obama and John McCain's final debate in 2008 averaged 56 million. According to Nielsen, 12 channels that carried the debate averaged 71.6 million viewers altogether. Some other channels, like C-SPAN, are not rated by Nielsen. Internet live streams are measured separately. Clinton and Trump's first debate averaged 84 million viewers via TV -- setting a new TV record. The rematch averaged 66 million. The decline was partly due to competition from "Sunday Night Football." On Wednesday night, there was no NFL competition, but there was a highly anticipated Cubs-Dodgers playoff game. The debate was moderated by Chris Wallace of Fox News, marking the first time that a Fox journalist led a general election debate. Fox's extensive promotion paid off: the channel's coverage of the debate averaged 11.3 million viewers, out-rating its rivals. CNN was close behind Fox in the key demographic of 25- to 54-year-olds, and topped Fox in that demo after the debate. Nielsen metrics showed relatively steady viewership throughout the 90-minute debate, with just a small amount of drop-off in the 10 p.m. hour. According to Facebook, there was slightly less online chatter about the debate this time around. The company said that debate #1 saw 73.8 million "interactions" -- meaning shares, comments and likes -- by 18.6 million users. Debate #2 ticked up to 92.4 million "interactions" by 19.8 million users. But round three dipped to 79.9 million "interactions" by 17.8 million users.